An ideal product for mounting your bearings and other parts snug! 11,90 € 11.9 tax incl. Ideal for fixing showpieces. 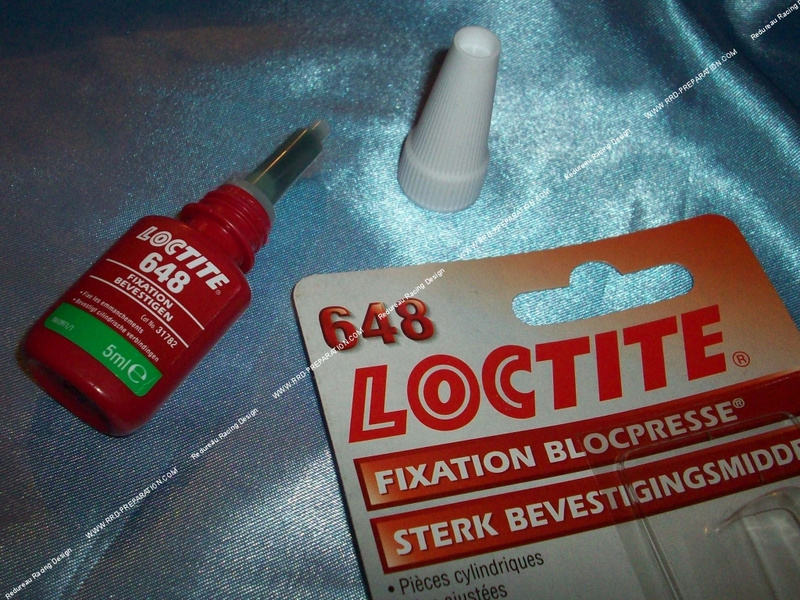 Here is the BLOCPRESSE tube 5ml LOCTITE 648 for various applications. Designed for rings, bearings, slides, seals ... This product has excellent properties, it is durable and easy to apply. Above all, proper preparation of the application surface is required. Degrease, clean and dry or parts before using the product. Can be used are variants temperatures between -55 ° C and + 175 ° C. Its resistance is good after 5minutes and optimal after 12 hours. Clearly, a high quality item (brand very famous) in term of resistance and various applications.